Set against the glorious backdrops of Rome, Florence, and Genoa, and Naples, peopled with historical characters and filled with the details of the life of a 17th-century painter, The Passion of Artemisia is the story of Gentileschi's struggle to find love, forgiveness, and wholeness through her art. Caren Gray manages Belle Vie, a sprawling antebellum plantation that sits between Baton Rouge and New Orleans, where the past and the present coexist uneasily. The estate's owners have turned the place into an eerie tourist attraction, complete with full-dress re-enactments and carefully restored slave quarters. Outside the gates, a corporation with ambitious plans has been busy snapping up land from struggling families who have been growing sugar cane for generations, and now replacing local employees with illegal laborers. Tensions mount when the body of a female migrant worker is found in a shallow grave on the edge of the property, her throat cut clean. As the investigation gets under way, the list of suspects grows. But when fresh evidence comes to light and the sheriff's department zeros in on a person of interest, Caren has a bad feeling that the police are chasing the wrong leads. 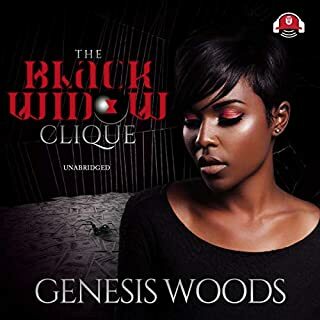 Putting herself at risk, she ventures into dangerous territory as she unearths startling new facts about a very old mystery - the long-ago disappearance of a former slave - that has unsettling ties to the current murder. In pursuit of the truth about Belle Vie's history and her own, Caren discovers secrets about both cases - ones that an increasingly desperate killer will stop at nothing to keep buried. Taut, hauntingly resonant, and beautifully written, The Cutting Season is at once a thoughtful meditation on how America reckons its past with its future, and a high-octane pause resister that unfolds with tremendous skill and vision. 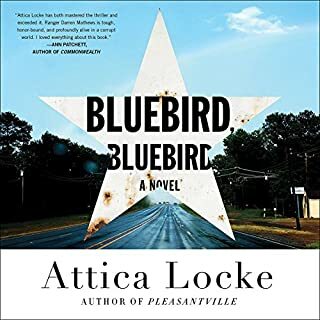 With her rare gift for depicting human nature in all its complexities, Attica Locke demonstrates once again that she is "destined for literary stardom" (Dallas Morning News). "For a lot of people .... it's complicated," says Caren Grey, a Southern African-American woman who manages the sugar plantation in Louisiana where her ancestors were slaves and then free laborers. For years, the place has been a living-history museum, complete with slave quarters and school tours and Gone-with-the-Wind weddings. The fields are still worked, mostly by Latinos (some illegal) employed by a giant agribusiness, and one of these laborers has been murdered in the sugarcane. There are family problems, racial realities, and political shenanigans (all with historical context) that Caren must deal with in trying to figure out the layers of this mystery in the present and another death (parallel in several ways) that emerges from the distant past. The suspense is palpable -- sometimes even spooky -- as is the sense of geographical and historical atmosphere. The characters live and breathe, and I cared greatly about their outcomes. Despite a somewhat improbable ending to this puzzle, I think Locke is a very promising young author, and I look forward to more from her. The narrator is just perfect for this listen. I found "The Cutting Season" to be an entertaining and often moving look into the main character's (and all of our) very complicated relationship with America's past and present and the changes which inevitably come. This is probably a reasonably good book. Unfortunately, the audio version was made difficult to listen to because of the quirks of the narrator. Couldn't wait to finish -- actually I did finish only because I'm so cheap. I spent the credit on this thing, I thought I should listen to the end -- which means, of course, I paid for it twice. Once in cash, the second time in wasted time. This is one of those that when you start to notice the puffing, the strange phrasing and way-too-dramatic cadence the narrator employed, it's all you can focus on. Parts of the book grabbed me, and I listened intently for short periods, but then once the literary crisis was over, my mind reverted to concentrating on the weird narration again. It could be that the producers wanted this kind of narration -- that's possible. Quincy Tyler Bernstine uses the cant of the professional storyteller, you know, the elderly crone who sits by the fireside and spins ethnic tales of old, folklore, using a sing-song cadence. That kind of narration might work if it comes in eight minute segments, when you're sitting on the library floor with all the other nice little boys and girls. But to listen to it for over 12 hours is painful, not to mention seriously annoying. Very disappointing. I thought the blurb about the book sounded interesting. Maybe it was, in the printed version. But now I know to stay away from this narrator in the future. Caren returns to her childhood home (where her mother was a cook) and childhood friends (the heirs to Belle Vie) as the banquet manager. She is surrounded with her family legacy where her ancestors were slaves. When the body of a young woman is found on the edge of Belle Vie property mysteries of the past and present collide. While being concern for her and Morgan's safety on 18 acres of isolated land, Caren must face her personal issues (baby daddy, first boy crush and, what to do with her life), solve a murder from the past and present. It failed my test for novels, especially murder mysteries, namely that it keep me curious and the characters have to seem real enough that I care what happens to them. Also the reviews kept talking about atmosphere--well the author kept talking about atmosphere too but Rebecca this is not. There was never much question about the story-- you knew who did it and why and the big political behind-the-scenes stuff was right out in full view and the only real mystery was why the main character was so excited about her child's father's wedding to someone else. Maybe it was explained and I missed it. My mind wandered a lot. The most annoying thing was the reader. Not always, but often she made this little gasp just before starting a sentence. You'd think the sound engineer could have caught it. It's the kind of thing that really grates on the nerves after about the 40th pre-sentence gasp. This was pretty expensive. I was disappointed. Quincy Tyler Bernstine's voice is a little too squeaky for me. It took me awhile to get used to it enough that I didn't want to constantly turn the book off. I got this book because I heard an interview with the author on NPR. I love it when you can get the background story of a book straight from the author. 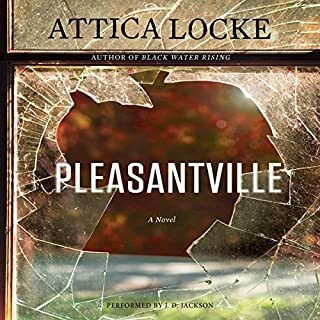 Attica Locke explained how she was addressing the issue of a successful black woman moving up to the big house and the guilt that comes with her success. The story was a bit contrived, but well told. I rolled my eyes a couple of times, but never lost interest. The opening of the book was lush and held out much promise for an engrossing southern novel. However, the characters and the story didn’t live up to this beginning. I did enjoy the descriptions of a “living” plantation, Belle Vie, in this day and age. That part was fascinating. The main character, Caren, however, seemed unlikeable and I just didn’t care much about her. She makes some really stupid decisions. The relationship she has with her ex –husband just doesn’t ring true to me. In fact, all her relationships seem washed out or bland. In the end, the solution to the mystery just seems to pop up out of nowhere. Or did I miss something? This was a good unique mystery. I enjoyed it. The author is very good at describing the atmosphere. As you listen, you can visualize almost every aspect of the story. The narrator voiced all of the characters very well and it was easy to tell who was speaking. Perfect book for a rainy day. 3.75 stars. I really liked this book. I think the author did a good job intertwining the slave/plantation history without making the book solely about that. It took me a while to get into it but once I did I didn't want to stop. I also liked that she steered clear of some overused story lines . I'd definitely read another by this author. 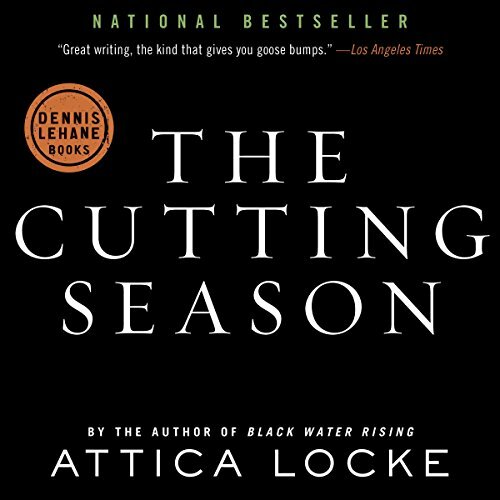 Attica Locke’s “The Cutting Season” is one of those rare books which enfolds the reader into the everyday life of Belle Vie Plantation. The protagonist was a hardworking single mother whose ancestral roots traced back several generations on Belle Vie. The author weaves an intricate story line, revealing a familial mystery spanning several generations. Though it seems that previous relatives possessed clues, it took the intelligence, curiosity, and bravery of Caryn Gray to solve the puzzle. Locke’s style cajoles even the most reluctant reader into understanding and appreciating her modern-day life at Belle Vie Plantation. This is a story of connections among diverse individuals to a shared past. It is also a story illustrating the importance of knowing when it’s time to move on leaving the past behind. Caryn Gray aptly demonstrates the key to overcoming trauma – acknowledging personal mistakes , picking up what’s left, and moving on. The protagonist earned our confidence and respect, which assures us that wherever she ends up, she will succeed. The narrator, Quincy Tyler Bernstine, instilled a New Orleans flavor and was largely responsible for making this reader feel at home. This is an interesting book from several angles. I do believe I'm not really in a position to judge it correctly. I am neither black or southern, and I would think you would need to be both for it to honestly make sense. The past mystery is quite wonderful, and makes historic sense. And is in it's own way, agonizing. The current one is less so in both regards. But either way, it's a good read. 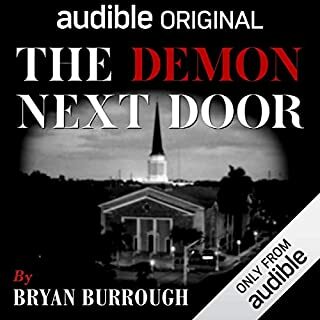 I've been listening to this book while walking the dog – and I freely admit there were times when I felt the author could have moved the pace along a bit.But then, this is the South, and the wonderful voice of the narrator combined with the unexpected ending has kept me listening to the end. This is not city crime, and its a definite break from my normal high body count preferences. I'm not advocating this as the perfect listen if you chose to walk your dog in unlit country places at night: it isn't, you'll start imagining footsteps behind you! And I'm not certain I would have read the paper version of the book, but I thought the combination of Ms Locke's writing & Quincy Tyler Bernstine's reading worked well together, and I will probably look for other work by both. 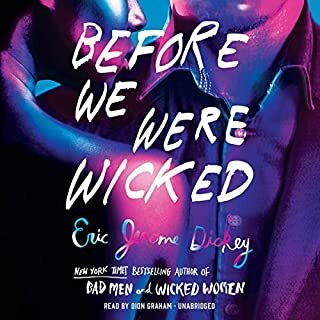 I loved this audio edition- it's an atmospheric story that unfolds slowly but had me totally hooked, and the beautiful narration made the book even more appealing. It may not be a big book but it's one that stays with you and makes you want more. An absolute gem. 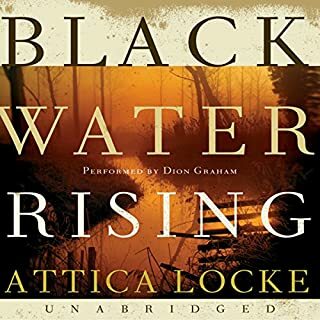 I enjoyed Attica Locke's first book 'Black Water Rising' and will be watching out for more!